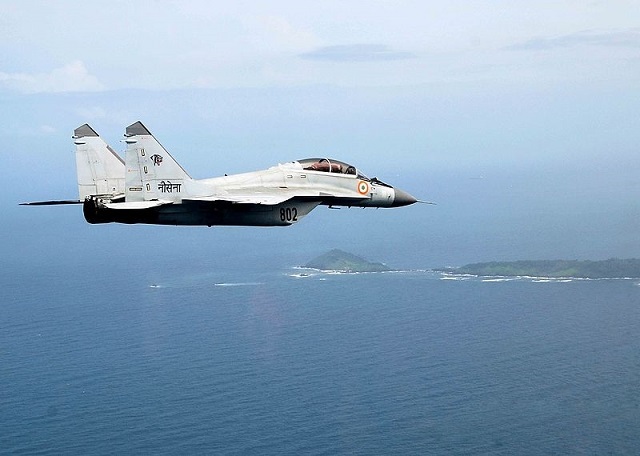 SIPRI mentions, that the latest contract for 29 MiG-29K/KUB fighters (including four twin-seat MiG-29KUB combat trainers) was signed in 2010 and the related deliveries of the aircraft to India started in 2012. The agreement was valued at USD1.2-1.5 billion. 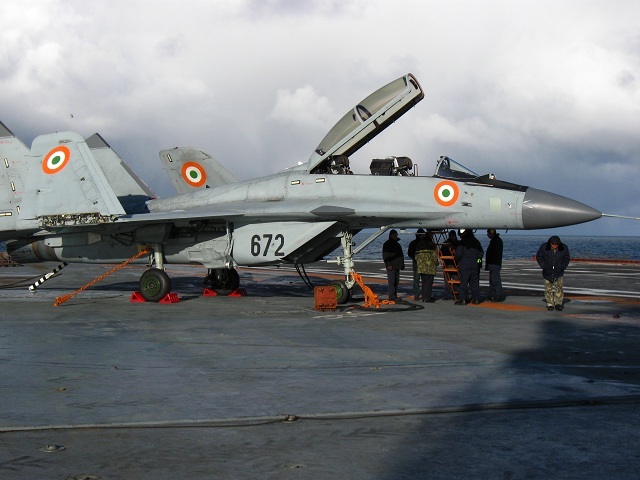 By end-2015, the Indian Navy had reportedly received 23 fighters. They are intended to be deployed at an aircraft carrier of the Indian Navy. The completion of the deliveries is scheduled for 2016, according to the Stockholm Institute. India ordered a total of 45 MiG-29K/KUB deck-based fighters under two contracts awarded to Russia. The first order for 16 aircraft was placed as part of the Russian-Indian framework agreement on the Vikramaditya aircraft carrier in 2004. The supplementary order for 29 fighters more was landed by MiG Corp. in 2010. Thus, India became the launch customer for the MiG-29K ahead of the Russian Navy. The first 16 planes delivered to the customer fly from the Vikramaditya now, while the remaining MiG-29Ks are slated for basing onboard India’s indigenous aircraft carrier, the Vikrant, which service entry is planned for 2018.